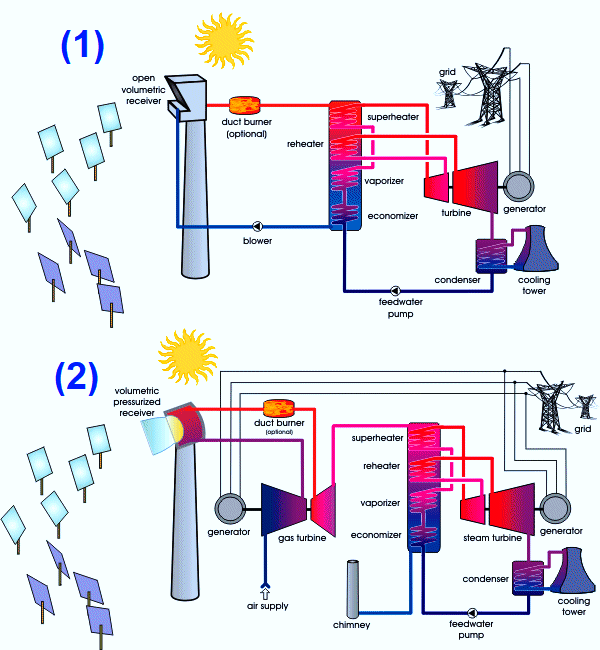 Solar thermal power plants: Used mainly in the United States, this system concentrates sunlight thanks to mirrors and parabolic dishes. Very high temperatures (from 400 ° C up to 1000 ° C) are then obtained and this heat will turn the water of the boiler into steam. Under pressure, it will activate the turbines that will themselves operate the alternator to produce the alternating current. This type of plant allows, by storing this fluid in a tank, to prolong the operation of the plant several hours beyond sunset. 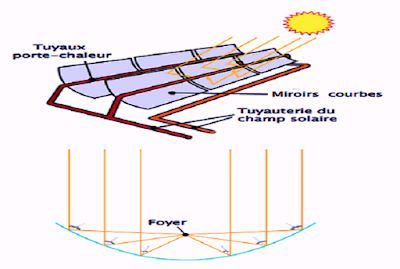 The principle of the concentration of solar irradiation has been known since Antiquity, as illustrated by the myth of Archimedes' "burning mirrors". 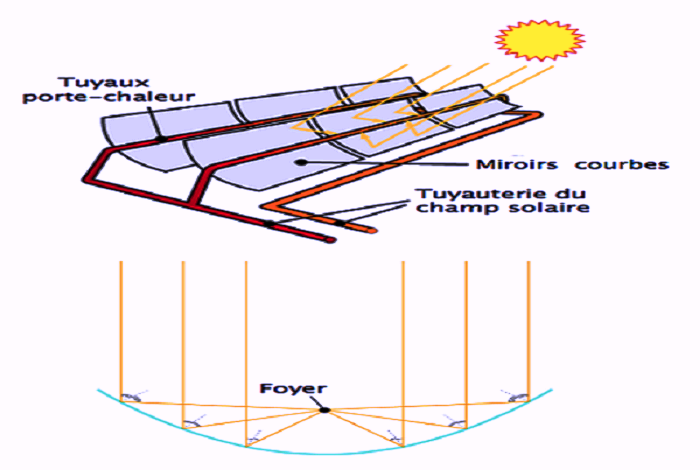 Most often with reflective mirrors or magnifiers, a concentrating system reorients the solar radiation collected by a given surface onto a smaller target: starting a dead leaf fire with a magnifying glass uses this principle.